Now searching for a Hotel General Manager! We are searching for a Hotel General Manager with an Innkeeper’s approach to running a hotel. He/She should have previous experience as a Hotel General Manager with an Independent/Boutique Hotel or a Ski Destination Hotel. Our Hotel General Manager will prepare annual budgeting and marketing plans along with monthly P&L reporting. This individual will work with ownership on marketing reports and ways to increase occupancy. The Hotel General Manager will direct our property’s overall sales efforts along with being actively involved with community activities. Evaluating our food & beverage program and making necessary changes is an important part of this Hotel General Manager role. Our Hotel General Manager will ensure guests are satisfied and work to implement/use feedback to improve operations. Deep knowledge of HR requirements and regulatory agency requirements. Apply Today for this Hotel General Manager position! 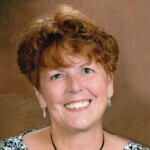 Karen Kern has worked in the Human Resource field her entire career. Karen is a goal-driven, results-oriented HR professional who consistently delivers value for clients and stakeholders at every level of the organization. As a former Director of Human Resources with Marriott hotels, she possesses a solid understanding of the hotel industry. While hotels often incur high turnover, Karen found that totally unacceptable. Through her committed efforts, Karen was able to reduce turnover by 78% over a 10-year period by modifying the recruitment process, developing a mentoring program for new hires, integrating a supervisory training program, and organizing employee recognition programs. Her LinkedIn recommendations provide testament to the high caliber of service she provides to her clients and candidates alike.